Dark, rich, ambient tones, melding live and electronic instrumentation. Both male and female vocals, gleaning lyrically from subjects of love and loss. Influenced by Dark wave, Gothic rock, and Industrial genres. 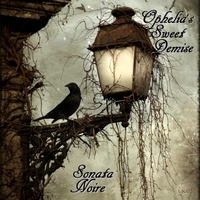 Ophelia's Sweet Demise is an outlet of expression for feelings of love and loss,and therefore tends to be a "darker" music. Shakespeare's character Ophelia, from Hamlet, is driven mad by love and it's apparent unrequited state; eventually drowning by her own hand. Although this is a metaphor, lyrically it has served as a direction for our writing. Please see our website opheliassweetdemise.com / Ophelia's Sweet Demise Facebook for contact information and complete bio. Our 3rd full length album "Sonata Noire" is a collaborative effort of OSD members past and present. We sincerely hope that you will enjoy it.